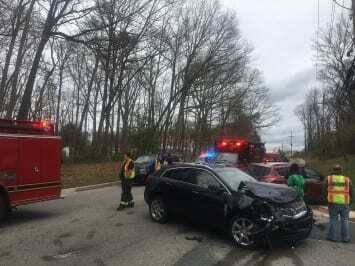 Emergency crews responded to the scene of a crash in Joppa on Friday. On Friday morning, units from the Joppa-Magnolia Volunteer Fire Company responded to the area of Trimble Road at Haverhill Road. Minor injuries were reported in the accident.